Strategies in Regional Growth and Change in Sensitive Landscapes. Encamp, Andorra. Researchers: Universitat Internacional de Catalunya, Spain: Carmen Mendoza Arroyo(PI), Álvaro Cuellar, Mar Aguilera, Cristina Alegre. 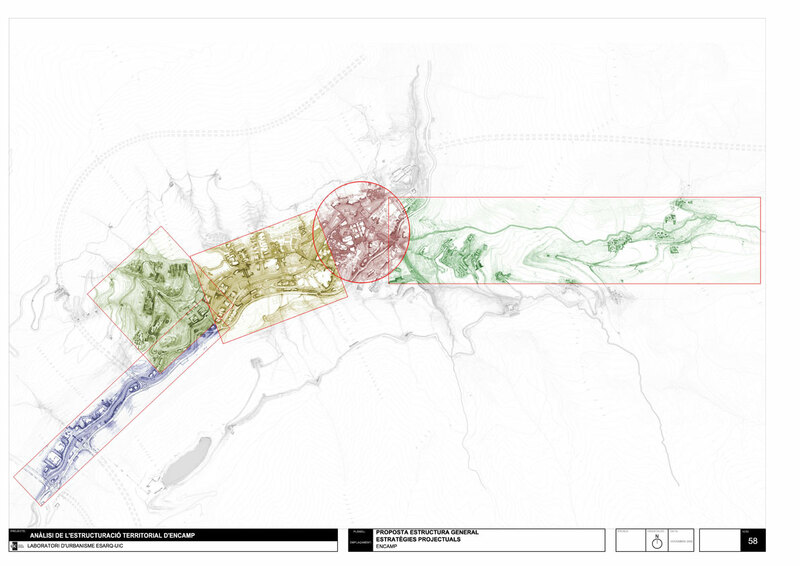 The regional structural analysis applied in this project is based on the physical and spatial organization of Encamp as well as its economic activities and open spaces. 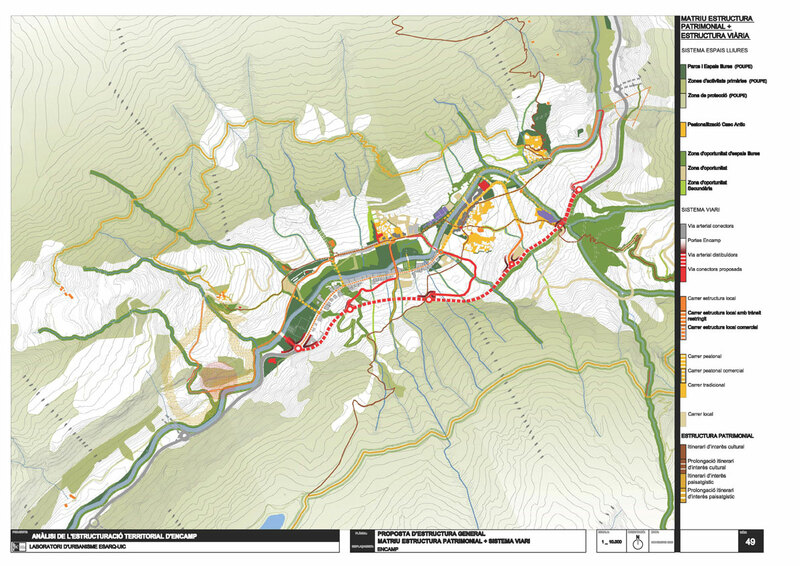 The project offers a positive framework to direct Encamp’s future urban growth by introducing an alternative model which recognizes the preexisting physical and natural assets of this territory and reinforces them through specific urban strategies. 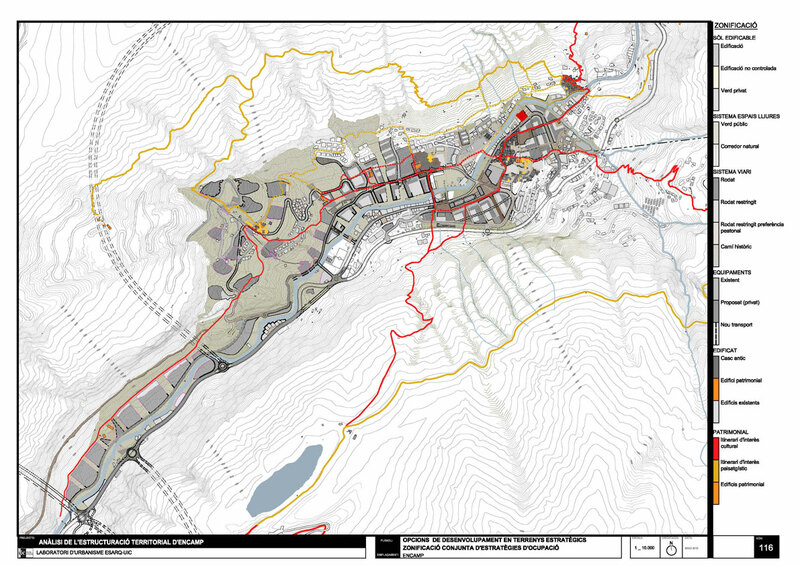 The value of Encamp’s landscape and its strategic position in the Andorran regional structure directs the strategies at all levels of intervention. ← The Value of Informal Settlements in the Design of Cities. Cali, Colombia.